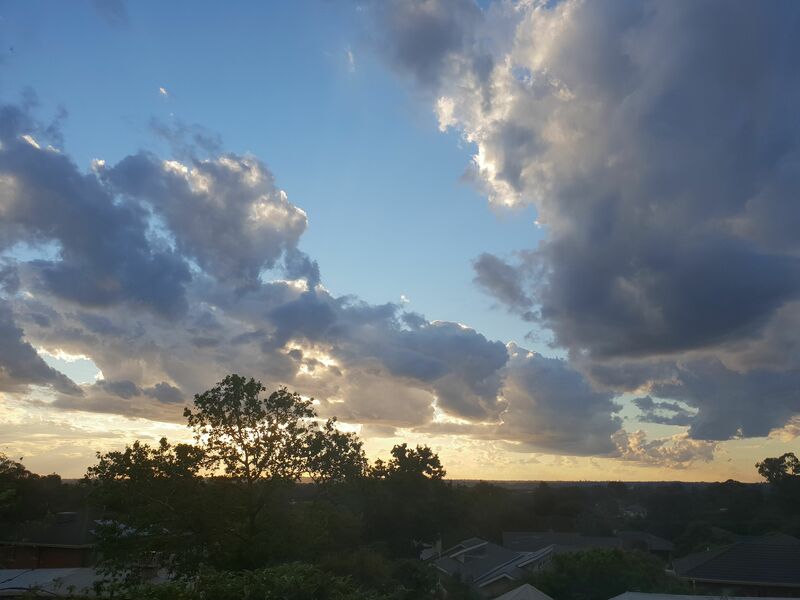 If weatherzone would let me edit my post I would - sorry I Posted from my phone so wasn't showing up as big. GFS (unusually) remains the stingiest of all models for parched N Gippsland. Went for a ride this morning, all the farmers are irrigating flat out - sceptics! Better off with the big picture than none at all Logansi. My Town loop hole missed out any rain and hope something between Front and West build some rain or not. That sound of heavy rain on the roof is just glorious right now. Some steady heavy falls moving through the metro this morning. Had good 7mm rain just then. Metro totals building quickly Been torrential for a good 45 mins or so now here. Airport now upto 34mm since 9am, everyone needs the rain but did it really have to happen today. Tulla and Essendon over 40mm in a few hours. 15.8mm here at home and sun coming out now, wind still NNW. Over 21mm this month and after 65mm last month doing ok. Lawn mower men around town will be really doing ok. Lot's of local flash flooding around Melbourne. VIC Emergency website shows lots of requests for assistance. 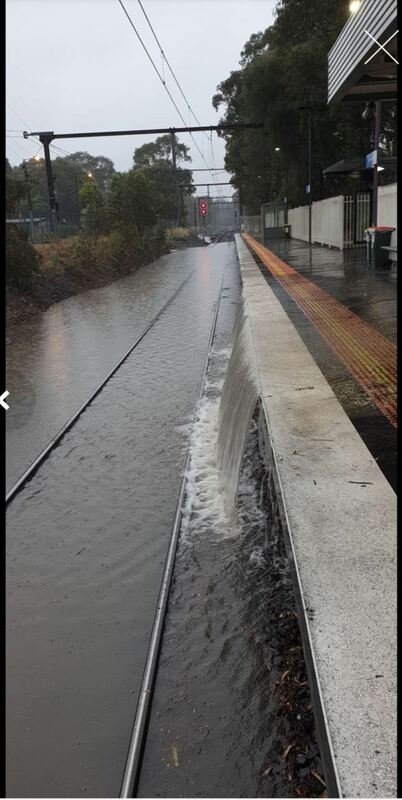 This is Ashburton train station a short time ago too. Not a bad start to November! The north end of that line going thru Melbourne atm has a lot of interesting motion on it. Didn't produce a drop here as the northern tip was just to our south. Perfect chasers view without having to move. 40.8mm at home in Bayles this morning. Haven't seen rain like that in a long time. copped a nice small thunderstorm that managed to dump about 10 mm in 10 mins. nice reminder for me to clear out my gutters. Im also going to have to put in a larger drain pit for my sump pump to stop these heavy rainfalls flooding under the house. Idiots when they built the driveway all those years ago made it slope towards the house not to the street so big rains run up the drive and then under the house. A last chance storm that looked promising 20 mins ago is heading this way just Nth of Moe, but now decaying as it approaches Nth Gippsland. Beaut pic Balmz, the waterfall makes it!! My independent weather reporter in Maffra reported 0.5mm total a couple of hours back, then 1/2hr got to 16.5MM for this event, needless to say he is pretty happy with that. In urban Sale total 19mm, with 15mm of that after 5pm. Just what we also needed here and better than WATL forecast (5to10mm). Outcome also better than ACCESS indicated this AM on my (rough) interpretation of the maps. If this system is over, then (this time miserly) GFS was again most accurate for N Gippy. Lightning strike today very, very close to the Valencia Ck Church and CFA shed, would have been LOUD ! Chased around northern Vic yesterday. Initially started up near Nathalia (around 15:00), watching cells develop the the W and NW, along the trough line (that was very visible on satellite). There were already some good storms moving off to the SE along the same line, but most were fairly low topped, but were showing signs of good shear interaction and good convection. Upper level winds were strong and dragging the anvil a long way down wind. This was also limiting updraft height. The cell the approached Nathalia began to show a fibrous anvil and seemed to be weakening, so we decided to head south to intercept cells now rapidly building along the trough line south of Echuca. Good convection was going and a flanking line formed, feeding into a rapidly intensifying cell near Kyabram. This cell began to show two separate updraft regions (around 16:00), and then split into a left and right mover. We caught up with these cells just NW of Shepparton, with both cells showing wall clouds, and the left mover showing some small funnels. The right mover looked stronger on radar, so we decided go south to follow that. Within 15-20 minutes we realised we should have stayed with the left mover, which was now showing interesting doppler returns, and some hook patterns on rain radar. We turned east to follow it but it had already passed our position and we struggled to catch up to it. Convection was going nuts and huge pulses were boiling over into a large domed overshooting top. Around this time doppler was showing a velocity couplet that persisted for 30 minutes or so, with one very intense frame at 16:49 just east of Dookie. I believe there may have been a weak tornado at this point. We couldn't see anything on the ground, as we were on the SW side of the inflow region. Hail shafts and heavy rain were visible and obscuring the view, and there were definite lowerings, but couldn't confirm anything. After Dookie, the cell seemed to slow its pace and weaken slightly, and we were able to get back on the northern side of it. We watched it from Mount Major as it moved towards Wangaratta and began back building again, with more large overshooting pulses. Radar suggests perhaps another weak tornado east of Wangaratta, but nothing visible from our position. A large flanking line was feeding into the main storm. As the storm began to encounter terrain, more large towers formed along the flanking line, with some very large pulses that merged into the main cell, with huge domed overshoots. Doppler shows further tornado potential about this time. We watched this cell slow right down and seem almost stationary (it really wasn't) for around an hour as it slowly tracked NE. The anvil was huge and stretched to the SE over 100km away from the updraft region. Some of the updraft pulses at this point were overshooting 20% or so of the height of the storm above the rest of the anvil. The right mover we'd followed earlier was still going and was now near Mt Buller. It still had a large anvil, but had weakened significantly by this stage. Interestingly, the cell we'd initially been watching at Nathalia did weaken, but then reintensified near Tocumwal and tracked east for quite a distance (well east of Holbrook). Overall a great chase day (apart from our rookie mistake chasing the right mover). Heaps of amazing timelapse footage to process! The Northern Country not much rain so I only had 14mm for November. Great detailed summary, thank you! Got a whopping 40mm of rain in Box Hill yesterday, most amount of rain here for some time. The local flood retarding basin that doubles as an oval was fully flooded, huge amount of water flowing into it yesterday. I managed to get some good audio recordings of thunder, first time in many months, was great ! isolated showers and cold of 12.7c. 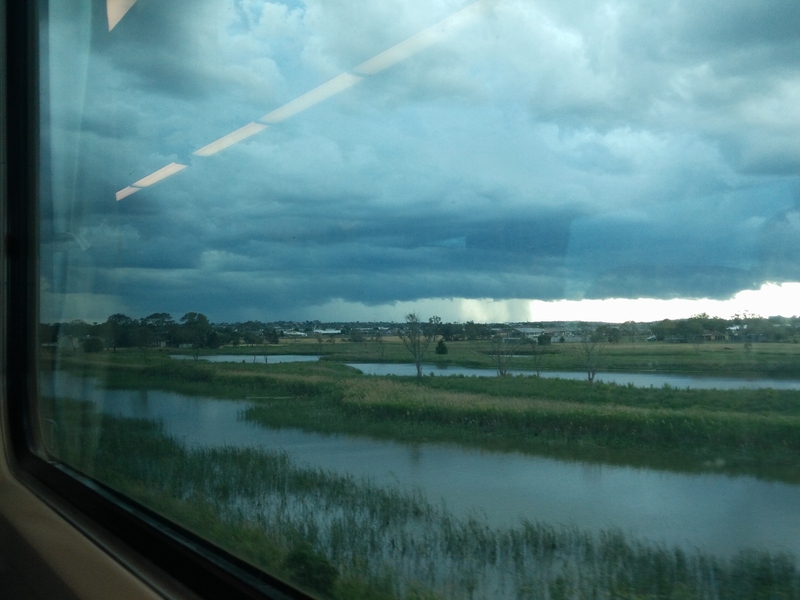 Nice little cold Thunderstorm moving through the Eastern suburbs. So that little storm formed a bit of a cold convergence line and dumped a fair amount of small hail! 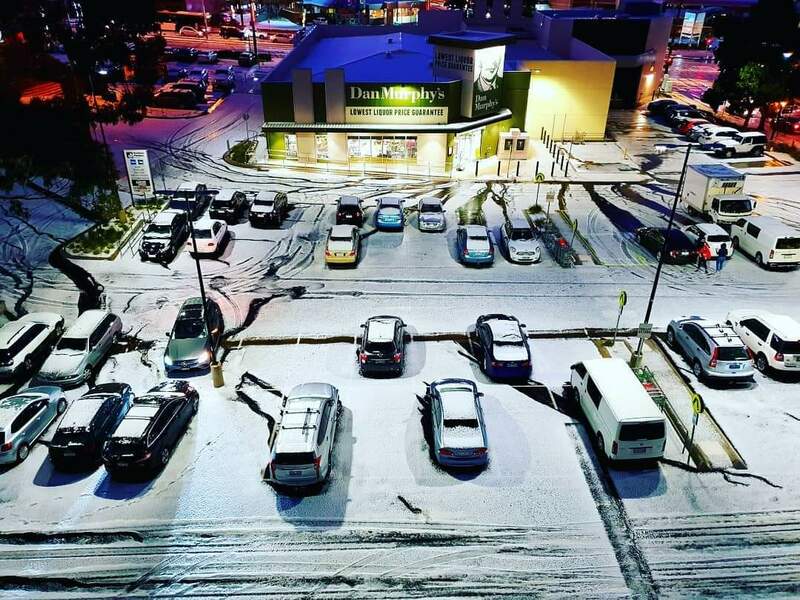 My friend in Chadstone just posted this! This system we have had 44mm rain just amazing it is hard to tell you how good it is here we are just a sea of grass everyone is flat out trying to get silage made and just starting on hay. Excellent Alexia, takes a lot of pressure off. Prior to this event, my YTD rainfall hadn't reached 300mm, and I needed 150mm both in November and December to reach my average. I received 52.2mm for the week, which is exceptional, but I doubt I will still reach my average.